MegaPreBiotic™ is the first Precision Prebiotic™ supplement made up of clinically-tested, non-digestible oligosaccharides that can increase microbial diversity and selectively feed beneficial bacteria like Akkermansia muciniphila, Faecalibacterium prausnitzii, and Bifidobacteria. MegaPreBiotic™ REINFORCES the beneficial microbial changes created by MegaSporeBiotic™ to promote a strong and diverse micro biome. 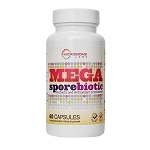 MegaPreBiotic™ is a cutting-edge Precision Prebiotic™ supplement made up of clinically-tested, non-digestible oligosaccharides that can increase microbial diversity and selectively feed bene?cial, keystone bacteria like Akkermansia muciniphila, Faecalibacterium prausnitzii, and Bifidobacteria. Prebiotics are non-digestible ?bers that feed the bacteria living in your gut. However, most prebiotics on the market can feed both harmful and bene?cial gut bacteria, which can exacerbate digestive issues. Keystone bacteria like bacterium prausnitzii, and Bi?do bacteria are very important for human health, but their populations can be easily diminished by antibiotics, stress, diet, glyphosate, and other environmental toxins. Start with ½ scoop daily for one week, then increase to 1 scoop daily with or without food, or as directed by your healthcare practitioner. Mix into 16 oz of cold water or liquid of your choice. Increasing populations of these protective bacteria is an integral part of reinforcing a healthy gut microbiome. Studies have shown that a more diverse gut microbiome is associated with a stronger immune system and a decreased risk for chronic illness. 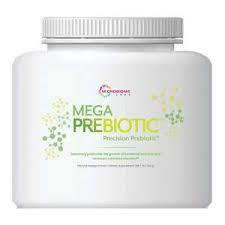 Nourish the powerful ecosystem in your gut with MegaPreBiotic™ today! 55 points will be rewarded to you when you buy this item. 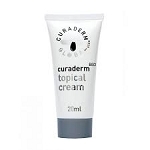 Earn free products. Click on the green "i" for more information on our rewards program.